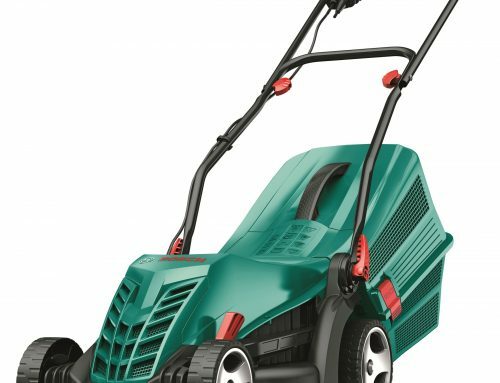 Best Electric Lawn Mowers for 2019. 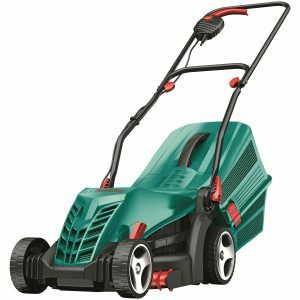 What is a corded electric lawn mower? 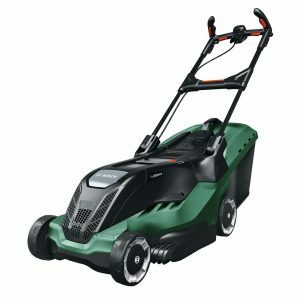 Why a Corded Electric Lawn Mower? 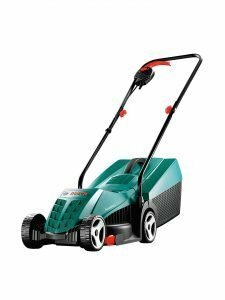 With so many different brands and types of lawn mower on the market, it may be difficult to decided the best electric lawn mower for your lawn. 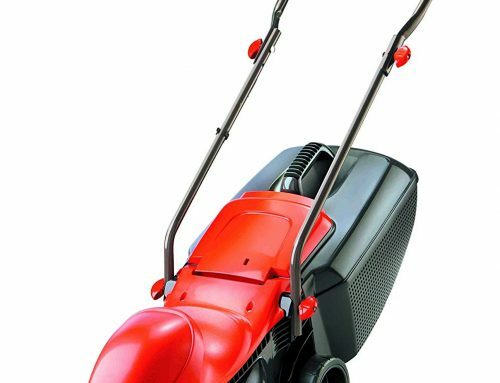 To make life easier for you we have reviewed what we believe to be the best electric lawn mowers out there detailing the good and the not so good. Spring will be with us quicker than we think, love it or hate it, your lawn will need to be cut more often. 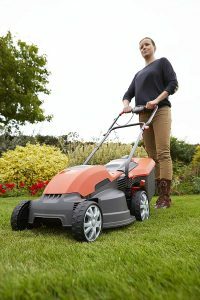 Replacing your mower lawn mower may help to make the job a little easier as mowers now have improved so much in terms of functionality and features. 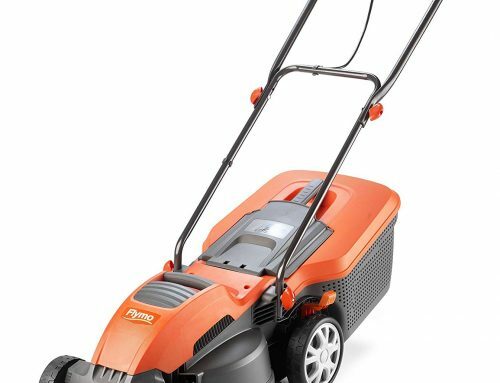 Here at EasyLawnMowing I review the best corded electric lawn mowers available on the market, ensuring you invest your hard earned cash on a mower that best suits your lawn. These lawn mower reviews are perfect. I’ll be explaining exactly what they are and why you need one in your life. Their is small to medium in size (350m² or less). Requires a powerful 1300W motor for longer/thicker lawns. Requires very little work to assemble the mower. Roller for a professional stripe lawn look. Their is small to medium in size (300m² or less). 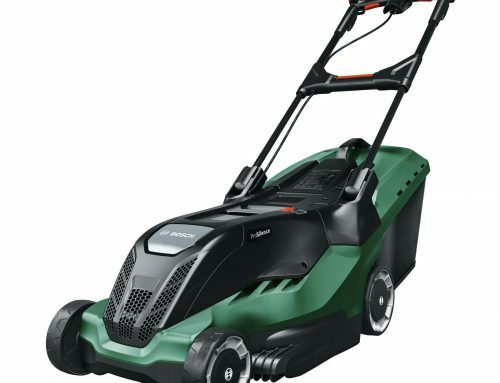 Requires a powerful 1200W motor for longer/thicker lawns. Very agile and easy to move. The option of rear rollers to make stripes in the lawn. Their is medium to large in size (700m² or less). Requires a powerful 1700W motor for longer/thicker lawns. Large Grass Collection Box (50L). Their lawn is medium to large in size (would recommend a 30cm – 32cm deck size for small lawns – 100m² or less). Requires a powerful 1500W motor for longer/thicker lawns. Their lawn is small in size (would recommend a 36cm + deck size for larger lawns). Wants a budget, compact no frills lawn mower. Probably the most common and versatile lawn mower is the corded electrical mower. They are easy to use, good value for money and highly effective. They work well even with damp or longer grass. They are powered by an electric rotary engine that will give an effortless cut that is neat and tidy. They use mains electricity and are ideal for small to medium lawns. Depending on the size and shape of your lawn you might need to buy an additional extension cable. You want freedom of movement so ensure you have sufficient cable. They are really easy to operate and maintain. They start easily and are generally hassle-free. Another advantage is that they are compact so this makes them easy to store. The only downside is the risk of running over the cable or getting it tangled as you make turns. With a bit of practice, this is easily avoided. You are also limited by the length of the cable and extension cord. Your lawn is probably the largest and most important part of your garden. It is generally the first and most notable things people will see when looking at your garden. It is important to keep it neat and healthy. The best and easiest way to get this done is to have the right lawn mower. There are so many options available and it is often a bit bewildering. If you have a very large area of lawn you will probably need to look at a petrol lawnmower. 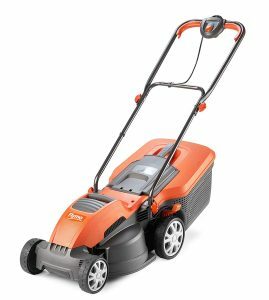 If, like most people these days, you have a small to medium garden than an electric lawn mower is probably a good option. It is, however, not quite as easy as that. There are still quite a few options and a number of things to consider before you make your decision. 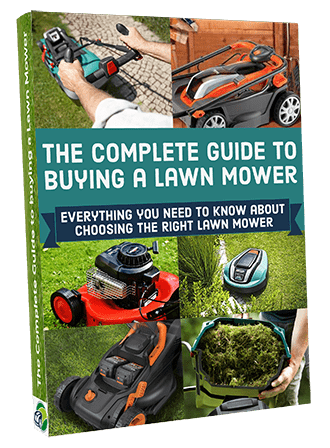 In this guide to the best electric lawnmowers 2019, we will take you through all the features and options you will need to consider and a few things you need to think about when making your selection. Quite simply, a corded electric lawn mower is a lawn mower that is plugged into a standard wall socket and runs off normal mains electricity. You also get cordless electric lawn mowers which are battery operated and we will discuss these convenient options in a separate section. There are many benefits to an electric lawnmower as well as a few limitations or possible disadvantages. We will cover all of these so that you are able to make an informed decision. 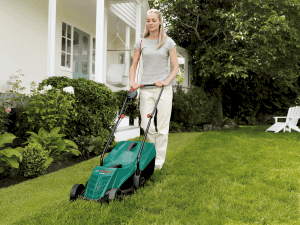 There is no easier way to cut your grass than with a corded electric lawn mower. While this choice does have some limitations, it is the fastest and most convenient way to get the job done. Let’s look at why that is. Probably the main advantage of a corded electric lawn mower is the convenience it provides. You simply need to plug it and switch it on and it works. There is no adding petrol, mixing oil or any other fiddly stuff to do. They start instantly so there is no difficulty getting them going even if they have been sitting for some time. 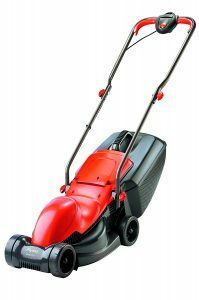 Corded electric mowers are really easy to use so anyone can operate them. Many people have difficulty with starting and operating petrol lawn mowers. With a corded electric lawn mower, there is no fuss or hassle. On average, corded electric lawn mowers are less expensive than petrol or cordless lawn mowers and offer great value for money. The operating cost is also generally less expensive as you will spend less on electricity than you would on petrol. As you will see in the next paragraph, the maintenance costs are lower. All in all, it is an inexpensive way to keep your lawn perfectly manicured. The nature of an electric motor is such that it requires much lower maintenance than a petrol motor. Petrol engines need to be serviced regularly and are more prone to breakdown than an electric motor. Some come with a very impressive guarantee and many brands have a great reputation for reliability and aftersales service. Corded electric lawn mowers are extremely low maintenance which saves you time, hassle and money. Corded electric lawn mowers are much lighter than the average petrol engine. This makes them much easier to push and operate. Some are so light that they are ideal for the elderly or children that want to pitch in with the lawn maintenance. This also makes a corded electric lawn mower easier to transport or store. They are more compact than petrol lawn mowers. This is an important aspect to consider and although electricity is not perfectly eco-friendly, it is better for the environment than a petrol lawn mower. Petrol lawn mowers give off emissions that are not good for the environment. Corded electric lawn mowers operate much more silently than their petrol equivalents. This is especially important if you live in a neighborhood where houses are fairly close together. You will not irritate neighbors with a loud noisy petrol lawn mower. 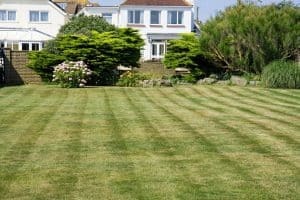 There are a few disadvantages to electric lawn mowers and it is important to be aware of them and understand them before making your decision. The main disadvantage of a corded electrical lawn mower is that you are limited to the distance from the power source that you can operate the machine. Most come with a 10 to 15-meter power cord and you can always add an extension cord or two if necessary. However, you are limited to a maximum distance of around 30 to 35 meters. Further than this and you should not use your corded electric lawn mower. They are therefore only suitable for small to medium lawns and will not work well on a large patch of grass. With a corded electric lawn mower, you will always have to manage the cable correctly and be aware of where it is. You want to avoid running the machine over the cable and cutting it. Most people get the hang of this fairly quickly and it is not difficult to do but does add an element of frustration that you do not have with a petrol or cordless lawn mower. 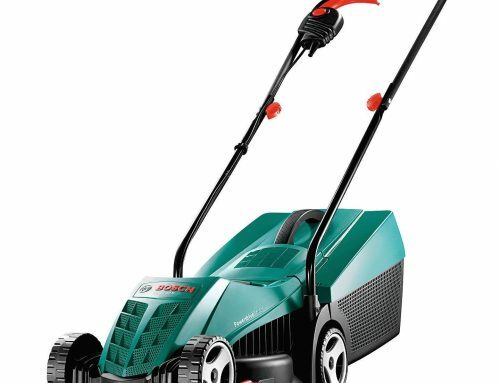 While you do get some very powerful electric corded lawn mowers they are typically less powerful than petrol options. If you occasionally let your grass grow long or need to cut wet grass you might find the electric lawn mower a bit low on power. The same is true of steep inclines or banks. Some models are self-propelled but most will need to be pushed by the operator. Think about your lawn and the garden conditions and look at the power rating before making a decision. Not to say that corded electric lawn mowers are fragile but they are built to be lightweight. As a result, they are often not as durable as the heavier more solidly built petrol lawn mowers. There are a number of factors that one has to consider before deciding on a corded electric lawn mower. With any lawn mower decision, this is always the first and most important consideration. It is fairly clear from the above that a corded electric lawn mower is only suitable for small to medium gardens. Anything more than 35 meters from the house or building and you will need to look at a petrol option. You cannot simply keep adding extension cords. At the same time, you also need to consider the deck size and cutting width. Smaller models will be more nimble and easier to move. They are accurate and move around corners with ease. They will, however, take more time to cut a patch of grass than a model with a leger deck and blade. You need to find the right balance for your needs and the size of your lawn. Determine what features you are looking for. Some people want a lawn mower that can much grass to return nutrients back to the soil and enrich it. Others might want a rear roller for precision stripes. There are a few specifics we have already mentioned that one needs to look at before selecting the perfect model for your needs. Although most are lightweight, some are heavier than others. Consider who will use the lawn mower and the layout of the lawn when considering the weight of the machine. If you cut regularly this should not be an issue but if you sometimes have long grass or a tougher variety you might want to look for one with more power. You also want to look at the cutting height options available and how easy they are to adjust. This will allow you to have the perfect length cut according to your needs, the type of grass and seasonal conditions.